The work on stability was initiated by the World Health Organization (WHO) in 1988. Following the WHO process for consultation a general text on stability and the WHO Guidelines on stability testing for well established drug substances in conventional dosage forms were adopted in 1994 and 1996, respectively. 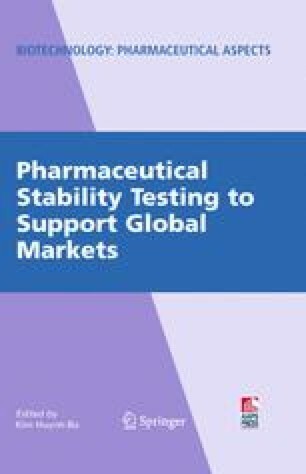 In 2000, discussions were initiated between the International Conference on Harmonisation (ICH) Expert Working Group Q1 (stability) and WHO in order to harmonize the number of stability tests and conditions undertaken worldwide. Discussions on the stability testing conditions for climatic zone IV (hot and humid) have been taken up internationally. Based on the various stability-related guidances published by national authorities, as well as regional harmonization groups, discussions are still ongoing and have triggered various changes to the WHO guidelines on stability testing. Based on the recommendations by the International Conference of Drug Regulatory Authorities and the abovementioned WHO Expert Committee, a revision of the WHO guidelines is currently underway.